Away supporters' guides | NUFC Blog. Archive for category: Away supporters’ guides. With the news that Newcastle United will be facing Metalist Kharkiv over two legs in the the next round of our Europa League campaign, I thought it might be a good idea to probe this side from the north east of Ukraine. So, Alan, you may find this helpful! 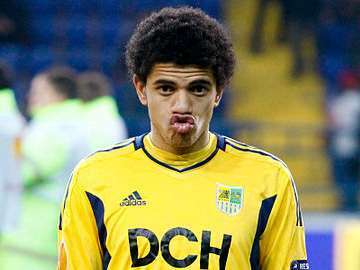 Currently fourth in the Ukrainian Premier Liga (behind Shakhtar Donetsk, Dnipro Dnipropetrovsk and Dynamo Kyiv), they finished third last season as they have for the last six seasons, always behind the big two Ukrainian giants, Dynamo Kyiv and Shaktar Donetsk. Káposztás Utcai Stadion, Sopron, Hungary. Fenerbahçe S.K. v Newcastle United. 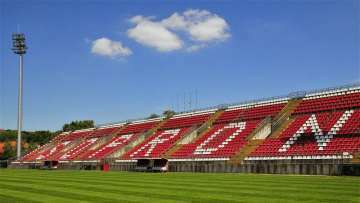 Venue: Káposztás Utcai Stadion, Sopron, Hungary. This one sees the Magpies making another step up as they take on last years runners up from the Turkish Super Lig. This one against the Istanbul club will be another “battle of the birds” as Fenerbahçe, like Norwich City over here, are known as the Canaries back in their native Turkey. 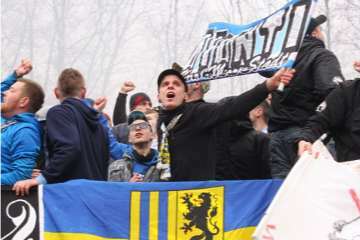 Chemnitzer Fans: Some very dodgy elements amongst this lot. Newcastle United’s series of pre season fixtures starts this evening in Chemnitz, as the Magpies kick off their European tour, playing six games (if you count one against the Dutch Den Haag which is yet to be officially confirmed). Two of the games will be played in Germany, one in Hungary and two in Portugal, though not necessarily against local sides. The teams will be Chemitzer at their place in Saxony, AS Monaco in Bavaria, Fenerbahçe in Hungary, Olympiacos and SC Braga at Braga’s unusual Estádio Municipal de Braga, which has a huge rockface at one side of the stadium instead of the usual terracing. Finally the as yet unconfirmed one against ADO Den Haag will be played at Den Haag’s Kyocera Stadium in the the Hague. Although not officially confirmed by NUFC, the game has been definitely been confirmed by Den Haag. ‘Around the grounds’ by Chris Nelson. 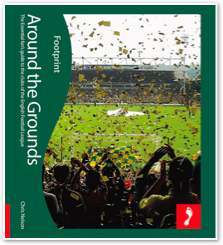 Around the Grounds by Chris Nelson. Some of my best days supporting Newcastle have come away from St James’ Park. I don’t mean that as a criticism of our home ground as, quite simply, it isn’t. Being at a match at St James’ Park can be a unique experience which is unrivalled so far on my travels, but being the adventurous type, combined with a lack of time, and sometimes a lack of money or transport, means that a lot of my support is now done away from SJP. I would like nothing better than to be able to make every home game, but unfortunately I can’t. It costs me roughly £150 for a day at St James’, and sometimes that just isn’t possible.